We were invited to join the gym senior group on their Mystery bus trip on Friday 20 November. 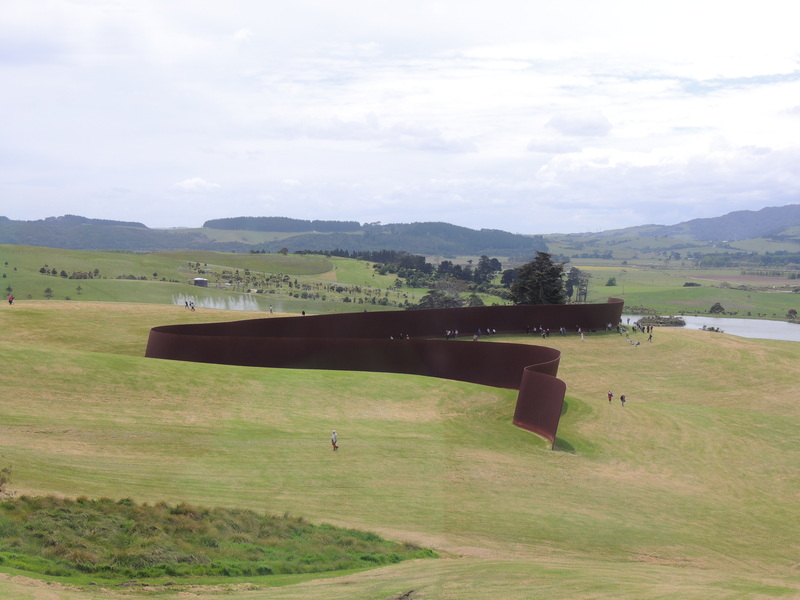 After leaving Brows Bay at 9 am we drove West to Soljan’s vineyard for morning tea, very nice but did mean less time at Gibbs Farm which was another 45 minutes away. This place is 1000 acres with mammoth sculptures scattered stop hills and in valleys. It has stunning views of the Kaipara Harbour, is only open one day a month, you have to book on their website and it is booked out until next spring! It was fantastic but we didn’t have time to see everything and have our picnic lunch. They have ostriches roaming around and have three giraffe, four zebra, numerous alpaca as well as highland cattle and buffalo! The photos following are surf explanatory – note the sheer size of some exhibits. will have to load photos later, receiving downloading errors – damn!